ATLANTA, Feb. 12, 2019 /PRNewswire/ -- InComm, a leading payments technology company, today announced it has launched Google Play gift cards in Malaysia, becoming the first distributor to do so, through its strategic partnership with Razer Inc. and its subsidiary MOL Global, Inc. (MOL), a leading e-payment enabler. 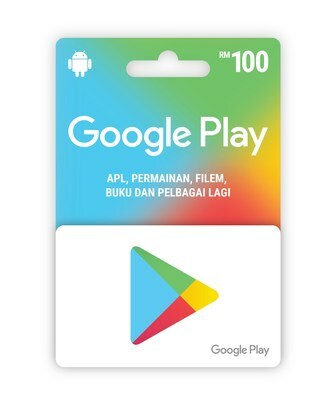 Google Play gift cards will be available in more than 2,250 7-Eleven stores across Malaysia. "We're excited to provide another payment option to 7-Eleven consumers to enjoy millions of the latest Android apps, games, music, movies, TV, books, magazines and so much more through Google Play," said Malcolm Areington, Regional Director, InComm Southeast Asia. "This is a win/win on both sides of the cash register as we also expect this partnership to drive additional foot traffic to our partners in Malaysia." Preecha Praipattarakul, SVP of Razer Services division said: "Razer is pleased to work with InComm and 7-Eleven to bring Google Play gift cards to Malaysia. Gamers can now buy Google Play gift cards to purchase their favorite games with ease and at no additional fee." 7-Eleven Malaysia CEO, Colin Harvey summed it up by saying, "We listen to what our customers want and we are always striving to meet their needs by introducing the latest, most interesting and sought after services and products. We believe Google Play Gift Cards will be a major attraction to our shoppers and reinforces our position as the undisputed leading one-stop, 24-hour stand-alone convenience retailer in the country as we continuously seek new ways to further enhance the public's shopping experience with us."